Malaney Blaze, Red Polo, Drumsound & Bassline Smith, DJ Hazard, Northern Lights and more. This show was 13th in the global jump up drum and bass chart and 100th in the global drum and bass chart. Started off as a drummer in a ska band in my early teens, which gave me an ear for beats and rhythm, got into drum and bass shortly after. Been DJ&apos;ing about 8 years, started with old hip hop vinyls and soon moved on to electronic music; mostly d&b, but I take inspiration from all genres - I try to reflect this in my mixes. Played at a few local events in Milton Keynes supporting acts like, Congo Natty, Jubei, SASASAS, Top Cat. 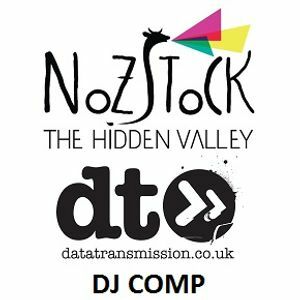 Playing at Nozstock 2016 would be an awesome opportunity to give something back to the Drum & Bass scene that I have loved for so long. Playing alongside this years Cubicles lineup would be a highlight of a lifetime, and a big step up in my music career! Big mix, well deserved win! thanks mate! that sounds like the desired effect! glad you like it and cheers for the support! thanks mate! yours was heavy also!